Hurry, at this price it will go Fast! MLS#2088875. Wardley Real Estate. The home is nearby extraordinary highway access, hotels, restaurants, stores and many more resources. MLS#2089130. Nationwide Realty LLC. 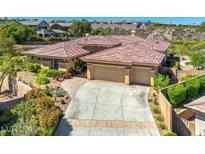 Paradise Point - Freshly painted, clean, clean, clean; stainless appliances, granite counters, tile floors, carpet in bedrooms, shutters and wood blinds; French doors opening onto covered patio; grass and retaining wall with landscape above. MLS#2088798. McKenna Property Management. 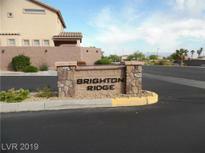 Minutes to Lake Mead, Parks, Club House, Pool & Golf, Boulder City, Shopping, Dining & Much More. MLS#2088830. Las Vegas Realty Group. Lake Mead North - All this and solar electricity! Solar panels are paid for!! ! 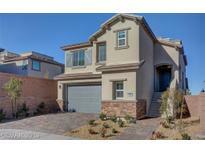 MLS#2088834. LIFE Realty. 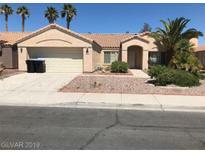 Sun City Macdonald Ranch - Community center, golf course, tennis, gym, pool and so much more! 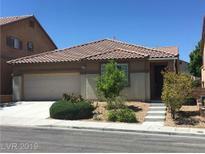 MLS#2088035. Platinum R.E. Professionals. Woodridge Estates - 1 story, 3 bed, 2bath, 2 car garage, gate access on the side of house for recreational toys, work shed with swamp and electrical wiring, nice covered patio, low maintenace landscaping, quiet neighborhood on a cul de sac. MLS#2088841. Rothwell Gornt Companies. River Landing - Great backyard space for entertaining. Don't miss this one ! MLS#2088823. Northcap Residential. Canyons - This home is part of Lennar’s signature Everything’s Included program that features green technology, home automation and much more! MLS#2088696. Lennar Sales Corp.
Gallery At The Grand Legacy - This rare jewel has so many custom features from the upgrade plank cabinet doors, granite everywhere, custom builtin closets, stone and wood floors, shutters, covered patio overlooking beautiful Pebbletec pool/spa with in-floor cleaning, beach entrance, garage for your golf cart or 3rd car, oversized corner lot, large palms Easy maintenance MLS#2088577. LIFE Realty District. Whitney Mesa Estates - This Special Home Features 4 Bedrooms*3 Bathrooms *3 Car Garage* Huge Kitchen With Giant Island, Pull Out Drawers & Built In Stainless Steel Appliances* Wonderful Family Room That's Wired For Surround Sound & Built In Entertainment Center* A Separate Master With An En Suite, LARGE Master Closet & Built In Office*4th Bedroom Has It's Own Bath* Quartz Bathroom Counter Tops*Peaceful Water Fall & River Rock Backyard*4 Inch Baseboards*Indoor Laundry. 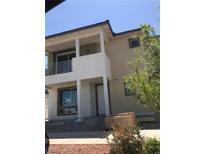 MLS#2088805. Signature Real Estate Group. 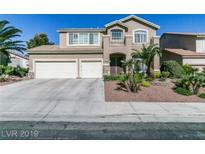 Incredible backyard w/covered patio, synthetic grass & easy to maintain desert landscaping. MLS#2088446. GK Properties. Candle Creek - Low-E windows, blinds, and ceiling fans ,2 Fireplaces,Large private backyard w covered patio, BBQ area, Separate side yard w Putting Golf Area,Garage w/ epoxy & storage~Bring your toothbrush move in Today !! ! 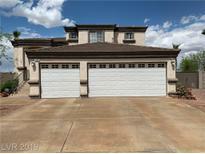 MLS#2087947. Realty ONE Group, Inc.
Hillcrest Manor - Other Features:jetted Tub, Laminate Flooring, Newer Ac/Roof/Hot Water Heater MLS#2088241. Top Tier Realty. Cinnamon Ridge Henderson - One owner home that has been meticulously maintained. 3 car split garage too! MLS#2088567. McDougall Real Estate Group. Sunridge Summit Heights - A True Beauty, Classy 1 Story, Entry Foyer, Greatrm With Fireplace, Updated Eatin Kitchen, Quartz Countertops, New Canned Lighting, Newer Stainless Steel Appls, Ss Sink, Tasteful Decor Features, Bright & Open Layout, Vaulted Ceilings, Ceiling Fans, Tile Floors, Master Has Walkin Closet, Double Sinks, Separate Tub & Shower, Sleek New 2nd Bath, Relaxing Rear Yard Offers Sparkling Pool, Extended Stylish Patio Cover MLS#2088528. BHHS Nevada Properties. 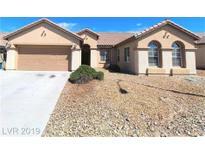 Rm/Dng Areas; Island/Grnt Cntrs/Tile/Upgraded Cabinets/Backsplash*landscaped Backyard/Cv Patio*surround Sound Receiver/Washer&dryer/Refrigerator Do Not Convey* MLS#2088575. Resolution Realty.